Variant Crowd 2 is a variation of Titarenko’s magnum opus, Vasileostrovskaya Metro Station. 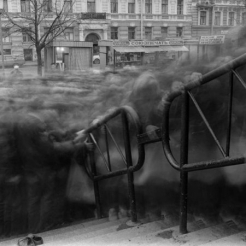 In his crowd photographs, Titarenko unleashed the expressive potentials of long-exposure, demonstrating his mastery of the artistic method. Through darkroom toning and bleaching, he highlights specific elements in the scene. Particularly stirring are the pair of shoes — a frozen calm amid a procession of shadows. Titarenko invented these technique to truthfully reveals feelings of anxiety in Saint Petersburg at the time. Evocative as both an artistic achievement and a historical document, artworks from the Vasileostrovskaya Metro Station series can be found in such collections at the J. Paul Getty Museum, Los Angeles; Museum of Fine Arts, Houston; MAST, Bologna; and the Chrysler Museum, Norfolk. "More than anything, I wanted to convey my “people-shadows” metaphor as accurately as possible. This metaphor became the core of both my new vision and new series. I placed my Hasselblad camera near the entrance to the Vasilievostrovskaia subway station, where the shopping district was located. The events occurring there were imposed on my already mentioned impressions, as were sensations stirred by Shostakovich’s music, and his 13th Symphony in particular, with its movement “At the Store.” A crowd of people flowing near the subway station formed a sort of human sea, providing me with a feeling of non-reality, a phantasmagoria; these people were like shadows from the underworld, a world visited by Aeneas, Virgil’s character. It was a place where time had come to a standstill. This perception of time stopped convinced me that it could also be stopped by means of a camera shutter. I already knew how to achieve this effect, as in my childhood I often took pictures by trying the long exposure process in the dusk and evening, and later, when attending the university at the end of the 1970s and beginning of the 1980s, I studied this technique of 19th-century French photography. "I began taking pictures every day. When several good pictures were accumulated, I started grouping them with the intention of following a certain narrative line. This process helps me to make decisions regarding further subjects to be captured...There is the story behind City of Shadows. As a rule, Shostakovich’s 2nd Cello Concerto and his 13th Symphony accompany the exhibit of this series." Alexey Titarenko was born in Leningrad in 1962. At age 15, he became the youngest member of the independent photo club Zerkalo (Mirror). He graduated from the Department of Cinematic and Photographic Art at Leningrad’s Institute of Culture in 1983. His series of collages and photomontages Nomenklatura of Signs (first exhibited in 1988 in Leningrad) is a commentary on the Communist regime as an oppressive system that converts citizens into mere signs. 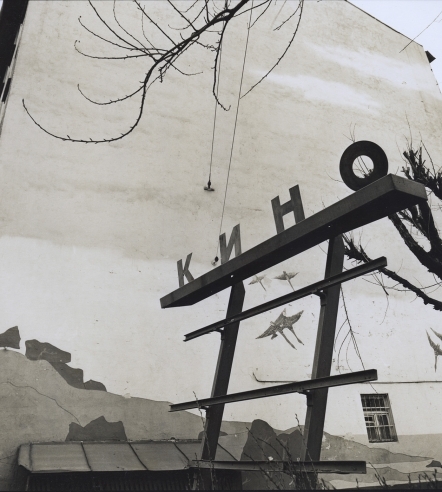 In 1989, Nomenklatura of Signs was included in Photostroyka, a major show of new Soviet photography that toured the US. After the collapse of the Soviet Union in 1991 he produced several series of photographs about the human condition of the Russian people during this time and the suffering they endured throughout the twentieth century. To illustrate links between the present and the past, he created powerful metaphors by introducing long exposure and intentional camera movement into street photography. The most well known series of this period is City of Shadows. In some images urban landscapes reiterate the Odessa Steps (also known as the Potemkin Stairs) scene from Sergei Eisenstein’s film Battleship Potemkin. Inspired by the music of Dmitri Shostakovich and the novels of Fyodor Dostoevsky, he also translated Dostoevsky’s version of the Russian soul into sometimes poetic, sometimes dramatic pictures of his native city, Saint Petersburg. 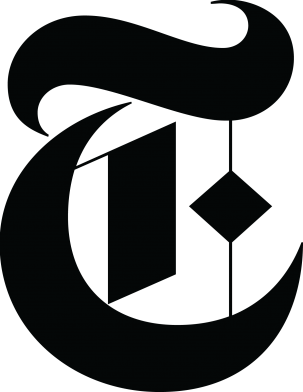 Titarenko’s St. Petersburg body of work from the 1990s won him worldwide recognition. 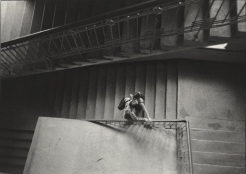 In 2002 the International Photography Festival at Arles, France presented this work at the Reattu Museum in the exhibition, “Les quatres mouvements de St. Petersburg” curated by Gabriel Bauret. In 2005, the French-German TV Channel Arte produced a 30-minute documentary about Titarenko titled Alexey Titarenko: Art et la Maniere. Titarenko’s prints are subtly crafted in the darkroom. Bleaching and toning add depth to his nuanced palette of grays, rendering each print a unique interpretation of his experience and imbuing his work with a personal and emotive visual character. This particular beauty was recently emphasized during the exhibition of his prints from his Havana series at the Getty Museum (Los Angeles, May-October 2011). His works are in the collections of major European and American museums, including The State Russian Museum (St. Petersburg); The Getty Museum (Los Angeles); the Baltimore Museum of Art (MD); the Philadelphia Museum of Fine Art; George Eastman House (Rochester, N.Y.); the Museum of Fine Arts (Boston); The Museum of Fine Arts (Columbus, Ohio); the Museum of Fine Arts (Houston); MAST Foundation, Bologna, Italy; the Museum of Photographic Arts (San Diego); the Berkeley Art Museum at University of California, Berkeley; the Davis Museum and Cultural Center at Wellesley College (Mass. 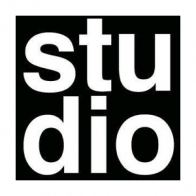 ); the Denver Art Museum (CO); the European House of Photography (Paris); the Southeast Museum of Photography (Daytona Beach, Fla.); the Santa Barbara Museum of Fin Arts (Cal. 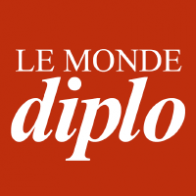 ); the Jane Voorhees Zimmerli Art Museum at Rutgers University (N.J.); the Reattu Museum of Fine Arts (Arles); and the Musee de l’Elysee Museum for Photography (Lausanne). New artist monographs, and Alexey Titarenko in "Le Monde Diplomatique"
Pentti Sammallahti recently released his newest monograph, Des Oiseaux (Xavier Barral, 2018). 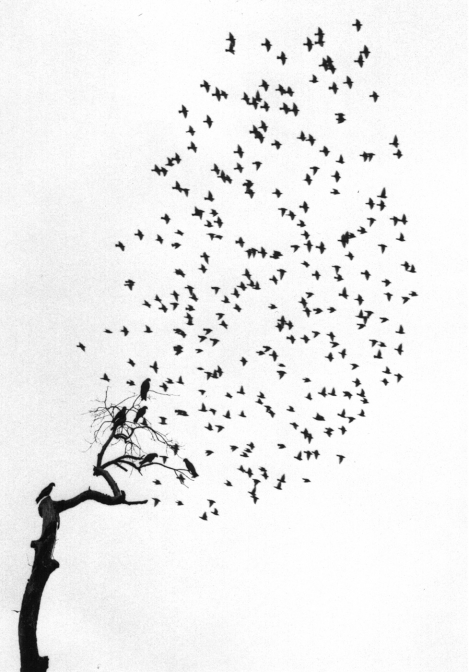 Fascinated by the idea of flight and exploration, Des Oiseaux focuses on the theme of birds. 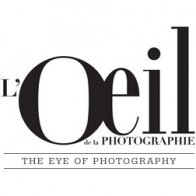 Critic Francesco Zanot comments, “the photographer looks at birds with tenderness and curiosity, a gaze which underlies fantasy and a “surrealistic” approach.” The book can be purchased here, for € 35.00. Denis Brihat is also releasing his newest monograph, Les Métamorphoses de l’argentique (Le Bec en l’air, 2018). 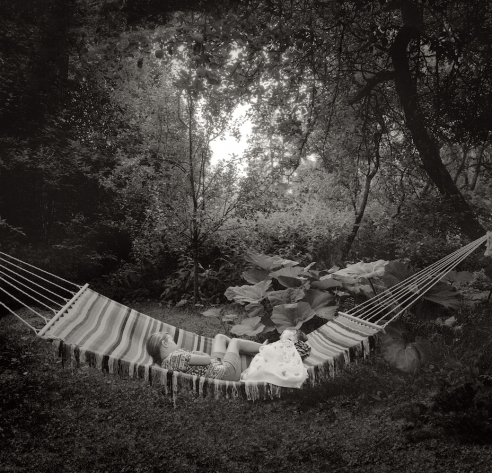 The book includes photographs of nature spanning the artist’s near 60-year career. The book also coincides with Brihat’s 90th birthday, which the artist celebrated last spring. Les Métamorphoses de l'argentique will be on shelves on November 22 and can be pre-ordered here. 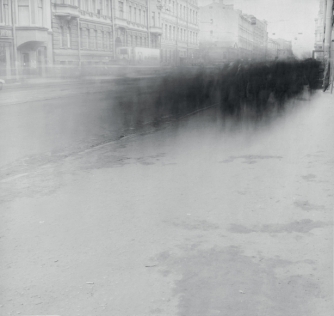 We are delighted that MAST Foundation, Bologna, Italy; has recently acquired a selection of Alexey Titarenko’s photographs from the series, City of Shadows. 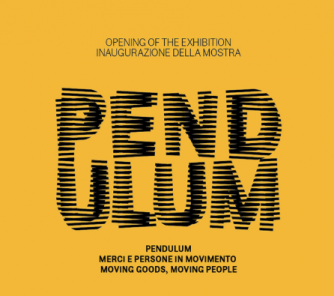 Titarenko’s artwork will be exhibited in their upcoming show, Pendulum: Moving Goods, Moving People. Organized on the occasion of MAST's fifth anniversary, Pendulum showcases photographs from across the foundation's permanent collection. The exhibition is on view October 4 - January 13. 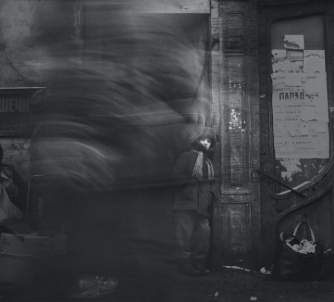 Alexey Titarenko was recently included in a list of the world’s 52 most influential street photographers. The list was put together by the popular Vancouver photography website “Streets I Have Walked.” Included in the list are photographers past and present who have shaped street photography historically, technically, or artistically. The list is regularly edited based on changing tastes and is open to suggestions from the public. 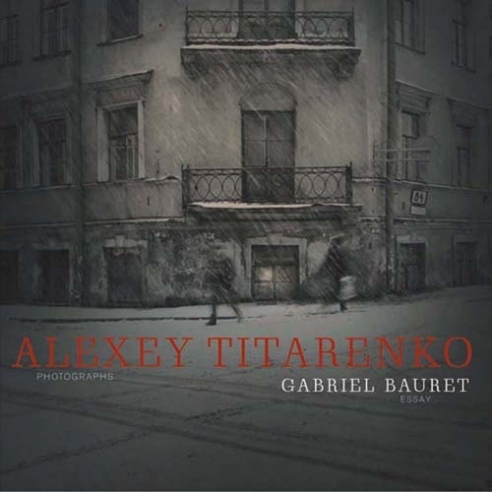 A selection of Alexey Titarenko’s photographs are included in the Museum of Fine Arts, Boston; The Baltimore Art Museum; and the Denver Art Museum. Shot in St. Petersburg after the fall of the Soviet Union, the photographs capture the city’s profoundly tragic transition into a new system of governance and daily life. Alexey Titarenko was also exhibited in The Soviet Century: 100 Years of the Russian Revolution, at the Middlebury College Museum of Art, on view from September 5 - December 10, 2017, and in Commemorating the Russian Revolution, at the Zimmerli Art Museum, on view from October 14, 2017 - February 18, 2018. Nicholas Hughes’s recently published monograph Nowhere Far is receiving a wonderful response, including an article in The Guardian last month. Nowhere Far reflects Hughes concern for humanity’s relationship with nature — how humans both destroy and find inspiration from their natural surroundings. 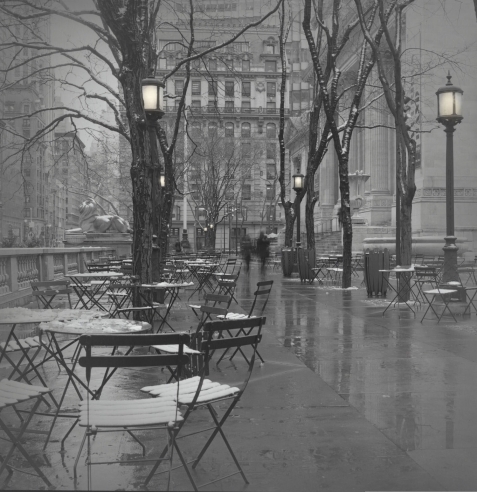 We are pleased to announce that this season the Museum of the City of New York has acquired a selection of photographs by contemporary Russian photographer Alexey Titarenko. 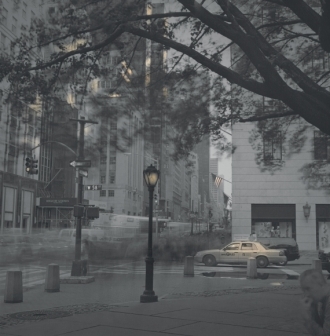 The photographs are part of Titarenko’s New York series, shot between 2004 and 2017. 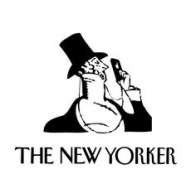 In 2015 Museum of the City of New York Curator of Prints and Photographs Sean Corcoran wrote of the series: "For Titarenko, each city and its people dictate the image he creates. His images reflect his attempt to reach a deeper understanding of place through the effects of history. 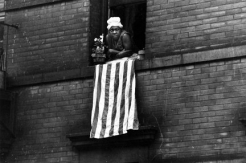 It should not be surprising, then, that Titarenko’s vision of New York resonates with the work of Alvin Langdon Coburn and Alfred Stieglitz — men who strived to embody the dynamism of the city and its people in photographs at the turn of the twentieth century. 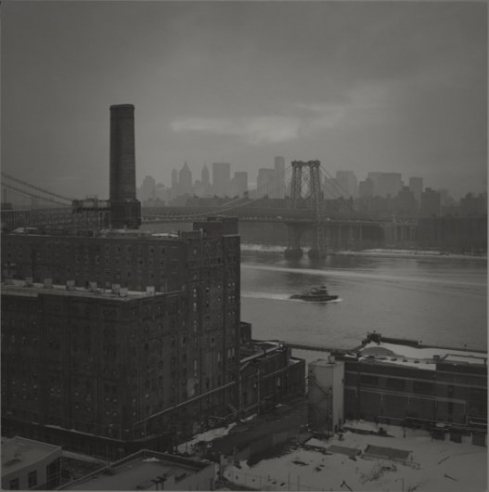 As Titarenko’s relationship with New York grows and changes, so too will the photographs he creates." 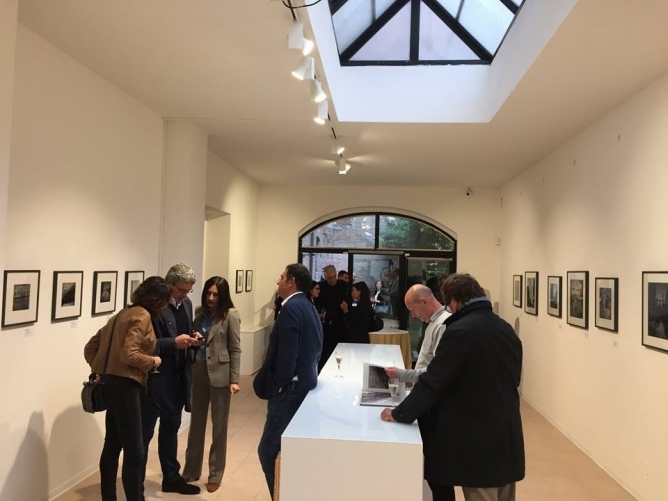 Alexey Titarenko: The City is a Novel opened last night at Spazio Damiani in Bologna, Italy, which was inaugurated in June 2016 as a new facet of the renowned publishing company Damiani editore. 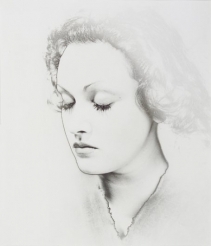 The exhibition, on view through 15 September, features gelatin-silver prints, printed by the artist, from throughout his three-decade career in Venice, New York, and his native St. Petersburg. The City is a Novel is also the title of Titarenko's monograph, published by Damiani in 2015 and available for sale both through the publisher and through Nailya Alexander Gallery in New York. 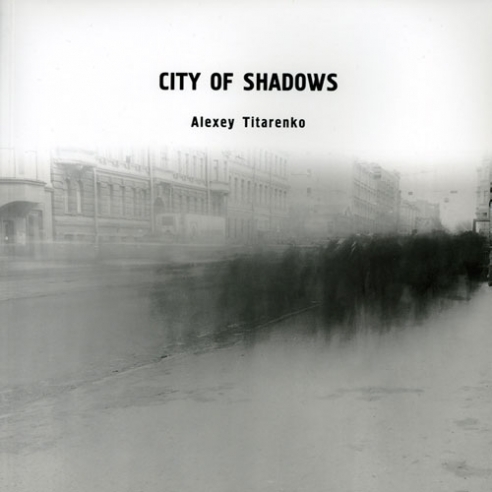 Alexey Titarenko will be holding a lecture, Q&A, and book signing at Soho Photo on Thursday, December 8 from 6:00-7:30 PM. Titarenko will be discussing his series City of Shadows, and will be selling and signing copies of his sold-out monograph The City is a Novel (Damiani, 2015). The event is free and open to the public. 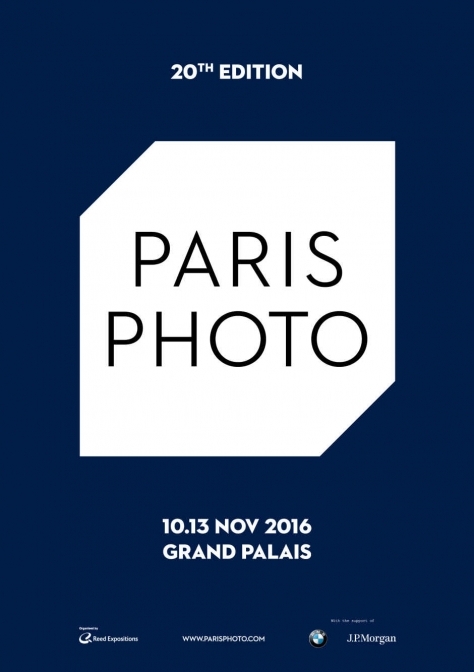 We are pleased to announce that Alexey Titarenko will be signing copies of his monograph The City is a Novel (Damiani, 2015) at this year's edition of Paris Photo, the 20th anniversary of the fair. The book signing will take place on Friday, November 11 at 6:00 PM in Damiani's booth, H9. 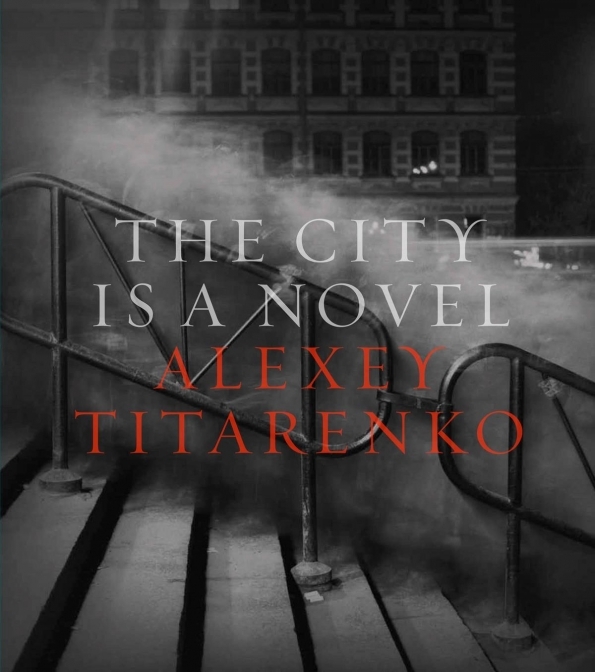 The City is a Novel is the first major publication devoted to Titarenko's thirty-year career, and features over 140 photographs of Titarenko's work in St. Petersburg, Venice, Havana, and New York. 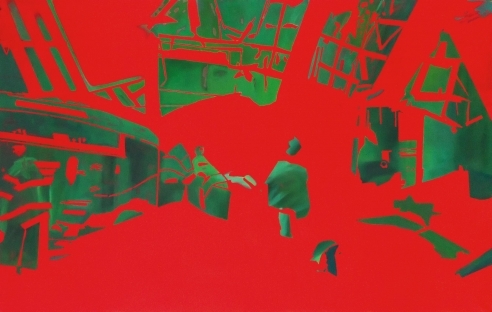 The monograph also includes essays by curator, writer, and art historian Gabriel Bauret; Brett Abbott, curator of photography at the High Museum of Art; and Sean Corcoran, curator of prints and photographs at the Museum of the City of New York, as well as an autobiographical essay by Titarenko himself. 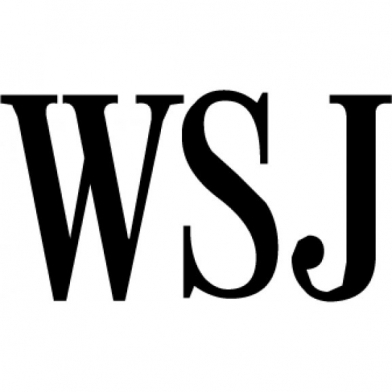 The book was selected by the Wall Street Journal as one of the best photobooks of 2015.